If you've mastered the French, Dutch, and fishtail braids, the 4 strand braid should be the next on your list. The 4 strand braid is the perfect plait to have in your styling arsenal whether you’re using it as a foundation for a chignon or creating a stand-alone braid. It may look complicated, but it's not as hard as it appears. It’s versatile and looks amazing on every type of hair, so it’s definitely worth the extra effort. 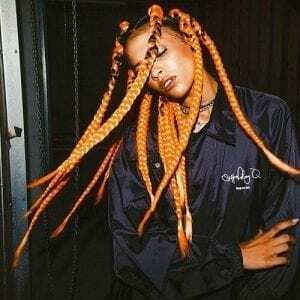 What Is A 4 Strand Braid? When Could You Wear A 4 Strand Braid? A 4 strand braid is exactly what it sounds like: a braid that uses 4 strands of hair rather than 3. That may seem like it’s impossible to do, but it is possible and easy once you get the hang of it. There are 2 main types of 4 strand braids. The first is the basic or flat braid. This is the easiest to understand how to do, however, the way this braid looks can differ depending on the way you weave the strands. The second type of 4 strand braid is called a rope plait. It is called this because it resembles a rope and has more of a 3-D feel rather than it lying flat. While this is a more difficult looking braid, it is no harder than a basic 4 strand braid. A 4 strand braid just like any other braid can be worn for any occasion, as long as it styled correctly. Got some errands to run but are also afraid you might run into someone you know? 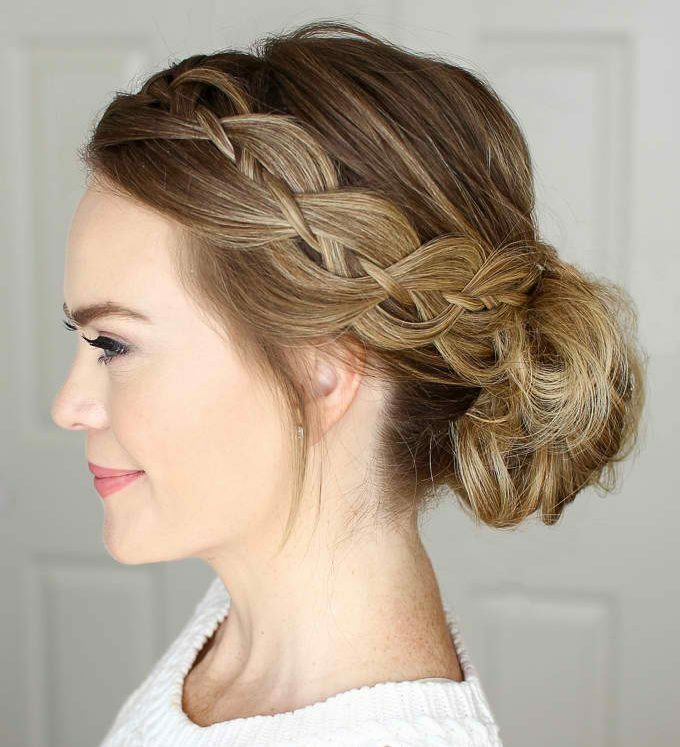 A messy 4 strand braid bun is a style for you. Messy buns are simple because they’re meant to be messy, but throw a little 4 strand braid in and it will look like you tried. 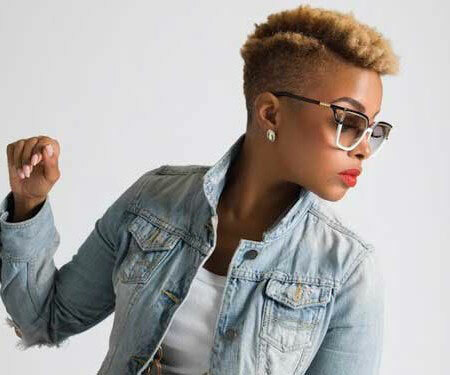 If you’re tired of just wearing your hair down, this hairstyle will add variety. 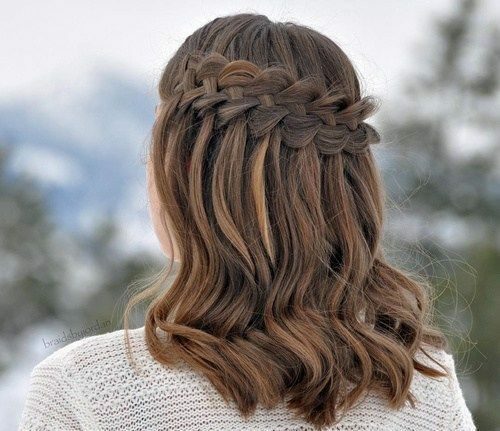 Adding a braided headband and angling it, so it goes diagonally across your head, will change up your regular look, and the braided headband will make it look like it took tons of effort. This is great to wear if you have a dinner or if you’re going for drinks with friends. 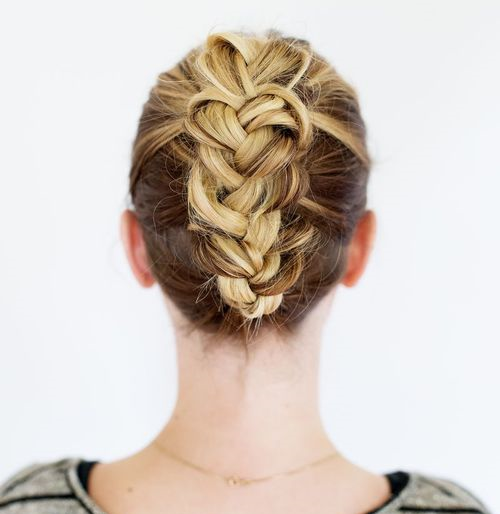 A 4 strand braid combined with other braids makes it your hair look like a master basket weaver did it. 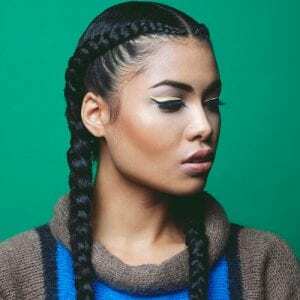 Although combining different types of braids is easy, the combination of them gives you an intricate style that looks like you spent hours on it. Black tie events aren't exempt from this hairstyle either. This style is suitable for a formal night out. It is very sleek on the sides and has a very luxurious feel to it, but in the back the tucked under 4 strand braid gives it some personality. 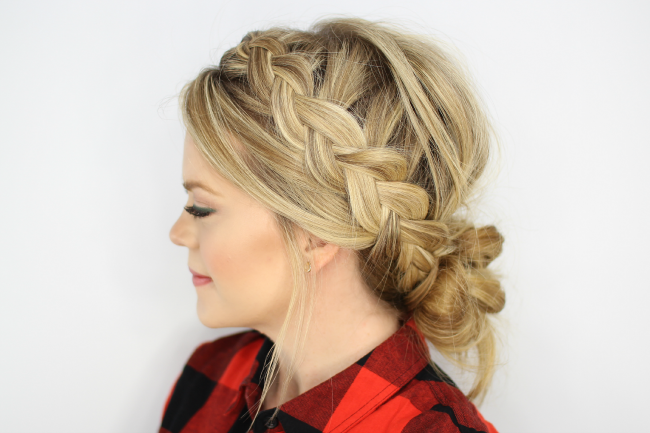 The purposely messy hairstyle look also works with a 4 strand braid. 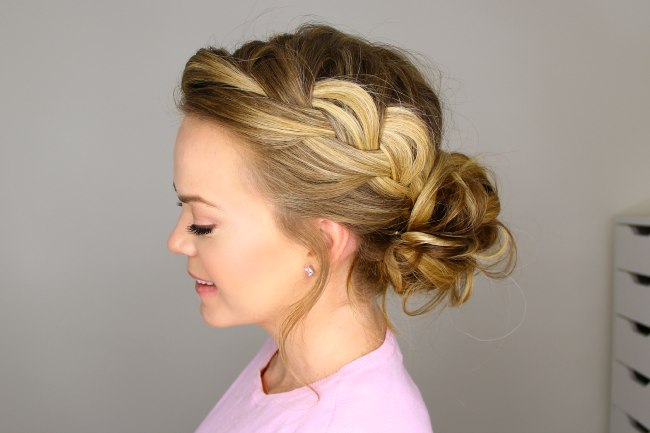 This pretty, messy side bun shows off face-framing highlights with a four strand braid. For a sixties mod look that has an updated take on retro, add a four strand headband braid around the base of the bouffant. 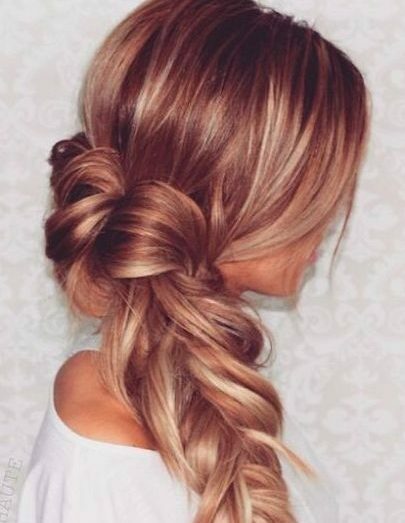 Add a low bun in the back to take this look to the next level. 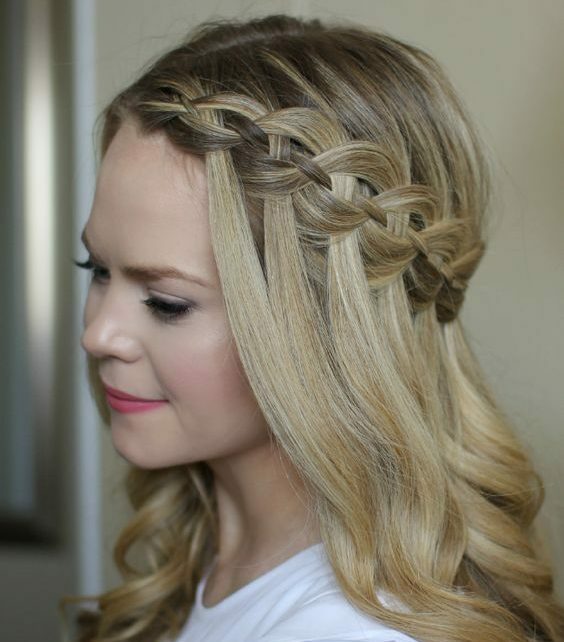 A flowing waterfall braid hairstyle is a sure way to look like you stepped out of a fairytale. Add a 4 strand braid, and it elevates it from princess hair to Khaleesi. Active and sporty girls can get in on this 4 strand action too. 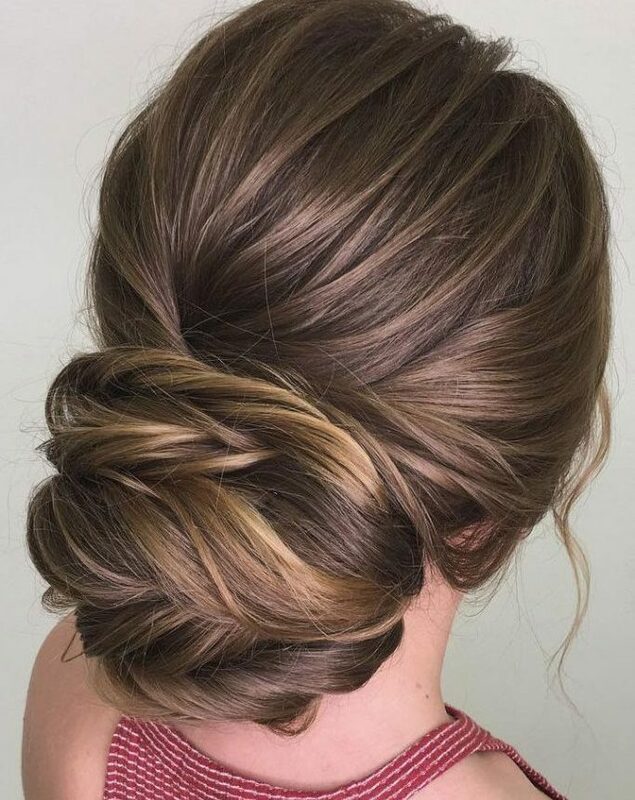 This braided ponytail is the perfect style for anyone who is going to be jumping around a lot and needs their hair out of their face and looking neat. 4 stranded braids have an easy, bohemian appeal, especially when braided loosely. 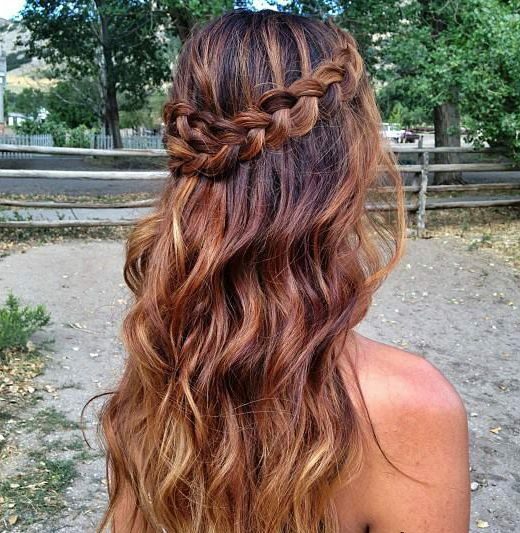 Fan (or pancake) the braid to create intricate loops, and wave or wand curl your hair to keep the look cohesive. A perfect style for bridesmaids, this 4 strand braid makes a pretty headband accent for a full, twisted bun. Divide your hair into 4 strands. You will have an outer right, inner right, inner left, and outer left strand. Take the outer right strand and weave it over the inner right strand, so the 2 switch places. Take that same strand and weave it under the inner left strand, and then over the outer left strand. That strand is now the new outer left strand. Pick up the new outer right strand and repeat the process. Weave it over the inner right, under the inner left, and over the outer left, so the strand becomes the new outer left strand. Repeat the pattern for the entire length of your hair. Tie off the end of the braid with a clear elastic band. Create 4 sections of hair. Weave the outer right strand over the inner right and under the inner left. Weave the outer left strand under the new inner left strand and over the inner right. Weave the outer right over the new inner right and under the inner left. Repeat this pattern down the length of your hair. Once you reach the end of the hair, you can tie it off here and you will have a chain link braid. Or to continue once you reach the end hold 1 strand in one hand and the 3 remaining strands in the other. While holding the 1 strand, push the remaining 3 strands upwards. This creates a braid that looks like it was woven around 1 strand of hair. Tie off the ends of your braid with a clear elastic band. Always brush through the hair before beginning any style to make sure there aren’t any tangles in the hair. Next, part the hair on the left side. Then divide off a section of hair from the part down to the right ear. Clip the back section away with a sectioning clip. Separate out any hair you want to frame the face at the end and clip this out of the way. Pick up a small horizontal section near the part and split it into four sections. Take the outer left strand, and cross it under the strand next to it, the inner left strand, over the next one, the inner right strand, and under the last one, the outer right strand. Cross the inner left strand over the inner right strand. Now add in hair to the outer left strand to begin a new stitch of the braid. Cross the outer left under the inner left strand. 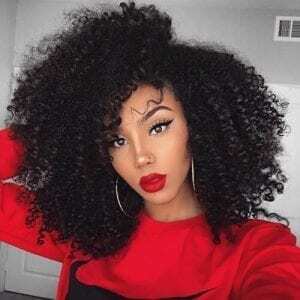 Next it would go over the inner right strand, but first, pick up a new section of hair near the hairline and add it into the inner right strand, making sure it’s brought in underneath the outer right strand. Now cross the outer left strand over the inner right strand and under the outer right strand. Now add in hair to the new outer left strand and begin a new stitch of the braid crossing it under the inner left strand. Add in hair to the inner right strand and cross the inner left over it and under the outer right strand. Then cross the inner left strand over the inner right strand. Now continue braiding the hair until all the hair is brought into the braid. Continue working down the section creating a four strand braid, securing the end with a clear elastic band or bobby pin. Gently pull on the edges of the braid to make it wider and more full. 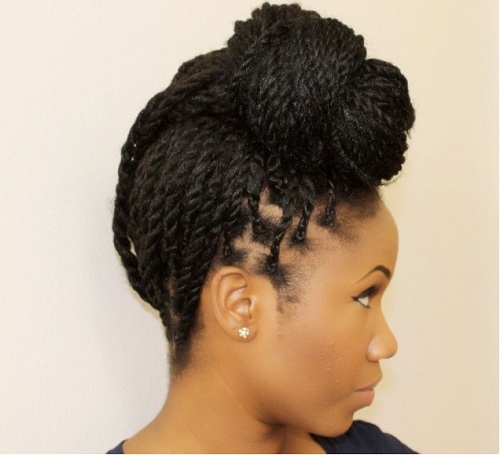 Wrap the braid around the back of the head and pin it behind the left ear. Divide off a section of hair on the left side and bring it back towards the braid. Carefully tuck the section underneath the braid, so it’s held in place by the bobby pin that is pinning down the braid. 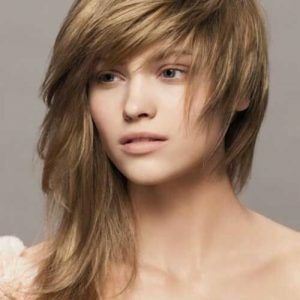 Spray the hair with a firm-hold hairspray to set it. Weave the outer right over the inner right. Weave the inner left over the inner and outer right strands. So the inner left strand is now the outer right strand. Weave the outer left over the inner left. Weave the inner right over both the outer and inner left strands. So the inner right strand is now the outer left strand. Repeat steps 2 through 5 until you reach the end of your hair. Tie off the braid with a clear elastic band. The 4 strand braid looks intricate and complicated to do, but if you follow our steps, you’ll be creating next-level braided hairstyles in no time.